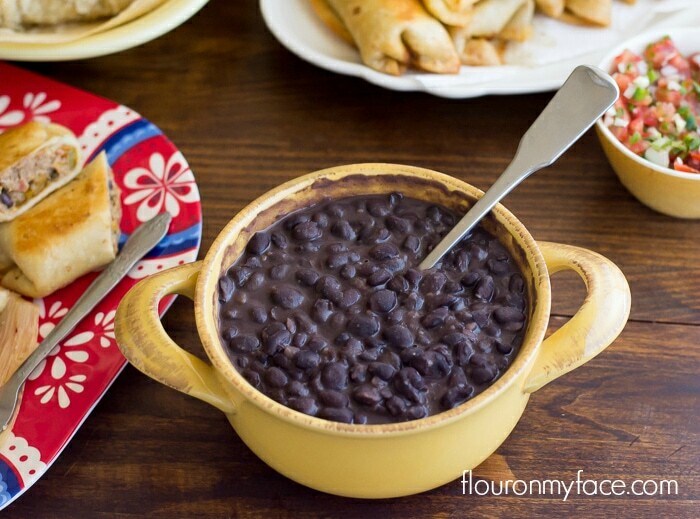 One of my favorite Mexican side dish recipes is Refried Black Beans. I’ve been sharing some fun and delicious traditional Mexican recipes using my Crock Pot Shredded Beef recipe. Refried Black Beans are so easy to make and now you can make them at home. All good Mexican main dish recipes must have a few good side dish recipes to go along with them. I usually just dump a can of black beans in a sauce pan and add some salsa, then simmer. But since I am planning on sharing a few more traditional Mexican recipes I decided I should make some Refried Black Beans to go along with them. Are refried beans really fried? Well, these Refried Black Benas are not fried in any way. They are pretty much just simmered on the stove with some seasonings. As a short cut, I skipped cooking dried black beans and used canned to make these Refried Black Beans. You can use dried black beans if you wish. 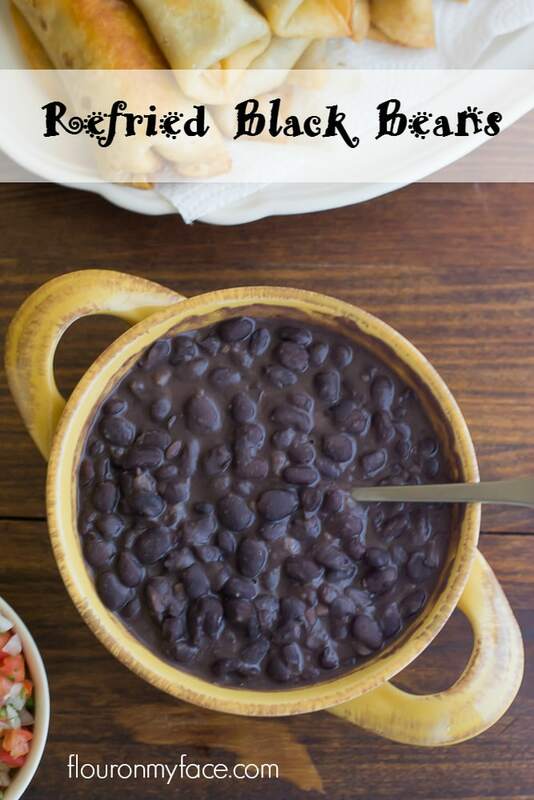 To use dried black beans for this Refried Black Beans recipe cook the dried black beans as you normally would. Once they are tender add the remaining ingredients to the pot with the undrained cooked black beans and continue with the instructions from there. Saute the onion and garlic clove about 2 minutes. Add the remaining ingredients to the pan and bring to a boil. Reduce heat and simmer 20-30 minutes occasionally mashing the beans. Serve alongside your favorite Mexican recipe.